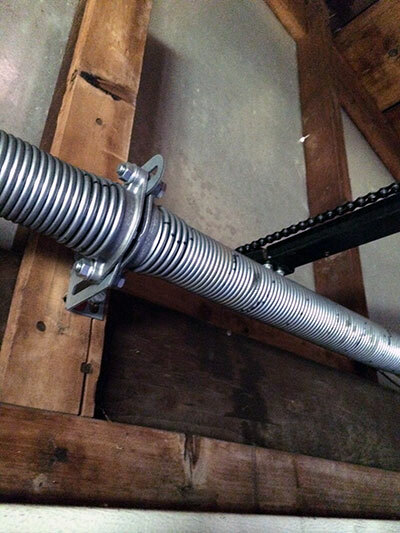 It is vital that you know what condition your garage door springs are in. It may not be obvious to you that your garage door needs servicing. When it does, contact us at Garage Door Repair Lake Shore to professionally take care of the problem for you. We help with all sorts of installation and repair needs. When you have a faulty garage door that is not operating right, let us know about it so that we can get to the bottom of the problem. We are a dependable and efficient service provider. We do what we say we can do and always stand by our work. This is the same when we offer you our maintenance services. When we discuss how we will routinely care for your garage doors, we will make sure it is performed as discussed. We honor our customers by providing them with the best services possible. When Garage Door Repair Lake Shore is taking care of the maintenance of your doors, we will check to see that your springs are in good shape. There may be signs of wearing and if this is the case, our service technicians will need to make the needed repairs immediately. Your quick and prompt attention to this matter is important. If you do not want to find the doors on the ground, we suggest you call us to perform maintenance of your garage doors. This will allow us to inspect the springs and let you know if they are in good shape or if they are in need of repairs. In any case, it is better to know exactly where you stand in regard to your springs. If they are wearing out, you may need to stop them now so that the problem doesn’t become worse. The worse case scenario is that a spring could break and bring the doors fall down on someone or on your car. Avoid this from happening to you by seeking our services today. Get the peace-of-mind you need and want in knowing that you and your loved ones are safe from potential harm.